Of the many disruptions that threaten global supply chains today, fraud and financial risks may be among the biggest concerns that are often overlooked. Research recently conducted by Deloitte Advisory found that, for the third year in a row, approximately 30 percent of businesses said that over the past year they have fallen victim to occurrences of supply chain fraud, waste or abuse. More than 2,600 supply chain professionals were surveyed, representing a wide range of industries including technology and telecommunications, health care, financial services, industrial and consumer products, life sciences and energy and resources. The survey results indicated several trends. According to the source, the two industries that saw an increase in supply chain fraud over the past two years were health care and life sciences. On the other hand, technology, media and the telecommunications industry saw a decline from 33 percent in 2014 to 27 percent this year. The majority, or 67.1 percent, of survey respondents said that they expect team members to report any potential threats. However, Deloitte Financial Advisory Principal Mark Pearson explained in the statement that he often sees supply chain professionals putting misplaced trust in employees and external parties. He said that, typically, customers will pay the invoice; then the organization has to chase them down once the fraud is revealed, though sometimes it never comes to light at all. 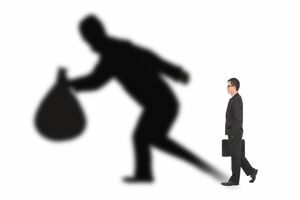 Deloitte's findings also showed that project and invoice managers, as well as procurement professionals, posed the greatest risk of supply chain fraud, waste and abuse. Only 29.3 percent of the survey respondents said they utilize analytics to combat the risk of fraud, abuse or waste. In some cases, the problem is not that the business does not have the analytics software, but rather that it isn't using it, which was the case for 13.7 percent of survey respondents. Furthermore, 19.3 percent said that when it comes to financial risk mitigation, analytics are not used at all. In addition, it was found that fraudulent activity is not common prior to payment, though only 27 percent of businesses said they assess unpaid invoices to look for indication of fraud or abuse. "As distress from falling oil and gas prices puts pressure on the energy and resources industry, many leaders are working hard to avoid leaving any cash on the table," Deloitte Financial Advisory Services Partner Larry Kivett stated. "Using supply chain analytics to identify and investigate supply chain financial risks can help stem fraud schemes that we increasingly see in today's challenging, complex and global environment." The above findings indicate that businesses, particularly those in the health care and life sciences field, may benefit from relying less on their employees to report scams and more on analytics software to detect fraud, waste or abuse in the supply chain. Considering this is the third consecutive year when the trend of supply chain fraud and abuse has increased, businesses need to implement a different, more effective strategy for risk mitigation. Data and analytics has rapidly emerged as one of the most recommended tools for corporate executives to use because doing so can lead to increased transparency and visibility, better compliance and cost reductions. However, as Sonal Sinha pointed out in an article for Quality Digest, one area of risk that is too often overlooked by organizations is their employees. Sinha explained that companies will often evaluate supplier and vendor relationships, but it is only done to assess the kind of value each has for the business. They often don't consider how or by whom the supplied was found or how they were validated. She went on to highlight some of the red flags to look for when it comes to detecting signs of supply chain fraud, including "immature and biased bidding and procurement processes, flawed contracts without an exit strategy or termination clause, insufficient clarity in third-party invoices and insufficient auditing of vendor practices." As supply chain networks grow more complex, businesses are going to need to continue enhancing their risk-mitigation strategies. Doing so will require implementing and properly using analytics software, as well as developing stronger practices for evaluating the potential threats of employees and third-party vendors.